The world’s biggest brands are investing more heavily in experiential marketing to change the way consumers learn, interact, and experience brand products and services. Creating an impact and an emotional connection with your audience has become a challenge in the over-crowded advertising and marketing landscape. Here are seven of the hottest experiential marketing trends that have left their mark on both the industry and consumers. Watch another experiential marketing trend and world record being broken at the Olympic Winter Games. 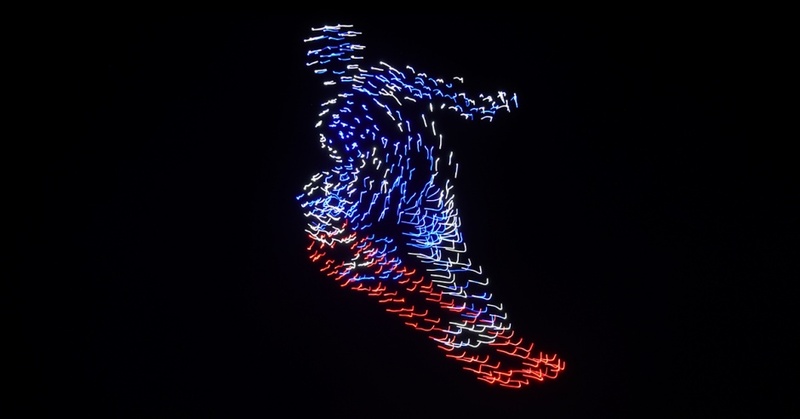 Incredible how Intel engineers designed, created, and programmed more than 1,200 drones to soar high above sky for the PyeongChang Opening Ceremony of the Olympic Winter Games. “If you’re going to weigh something, weigh what matters.” With this tagline, Lean Cuisine launched a heartwarming experiential activation. As a company that makes frozen dinners, Lean Cuisine’s messaging focuses mainly on weight loss. And although health is very important, consumers can quickly feel overwhelmed with messaging that solely measures a person based on their appearance. Lean Cuisine was aware of this, and for this experiential campaign concept, they made a decision to focus on something a little different. This experiential marketing campaign consisted of setting up an installation in the middle of Grand Central NYC where a professional sign-painter would write down the way in which people wanted to “weigh” themselves. Participants were asked how they wanted to weigh themselves, separate from their physical “scale” weight. One woman wanted to be weighed by the amount of love she gave to her kids and another weighted by her work ethic she showed by returning to University. This emotional feel-good experiential marketing campaign quickly went viral to achieve over 204 million brand impressions. When you are one of the most recognizable cookies in the world, Oreos carry many tradition in its branding. Some people may have been hesitant to combine Oreos with cutting edge technology to create an experiential marketing experience. The combination worked magically for the most important people in the world who matter – the consumer. The idea of combining Twitter, 3D printing, and the classic Oreo cookie all into one experiential strategy is brilliant. People would be able to receive a uniquely flavored Oreo cookie (made by the 3D printer) that would be determined by which flavors were trending on Social Media during that exceptional moment. People described the experience as “deliciously hyper-personalized and customized snacks based on real-time data collection.” Putting a modern tech twist to a classic cookie was a great way to capture media attention. This experiential marketing campaign proves you can go way beyond the product in terms of engagement. When executed thoughtfully, experiential campaigns can directly address and make a significant impact on global issues. Coke set out to do just that by creating “small world machines” simultaneously in both India and Pakistan. The hope was that through virtual interaction, the fractured relationship between the two countries could be set aside for a moment and a life-changing genuine human connection can take place. Two high-tech vending machines were placed: one in Lahore, Pakistan and one in New Delhi, India. They were each set up at shopping malls where people could pass by and partake in the experience. The high-tech vending machines had built-in cameras that allowed for face-to-face live interactions. The objective would be to communicate, work together with the person on the other side of the screen to achieve cooperative tasks such as mirroring each other’s movements and tracing images directly on the screen. The experiential marketing campaign was incredibly successful and received many positive reactions from the media. It proved that even a soda company could make bold attempts at positive change through their marketing campaigns. You probably remember Aston Martin from the legendary car chase scenes from the many James Bond movie? And if one had the chance to get behind the wheel and drive this luxury vehicle like a secret agent, why wouldn’t you? 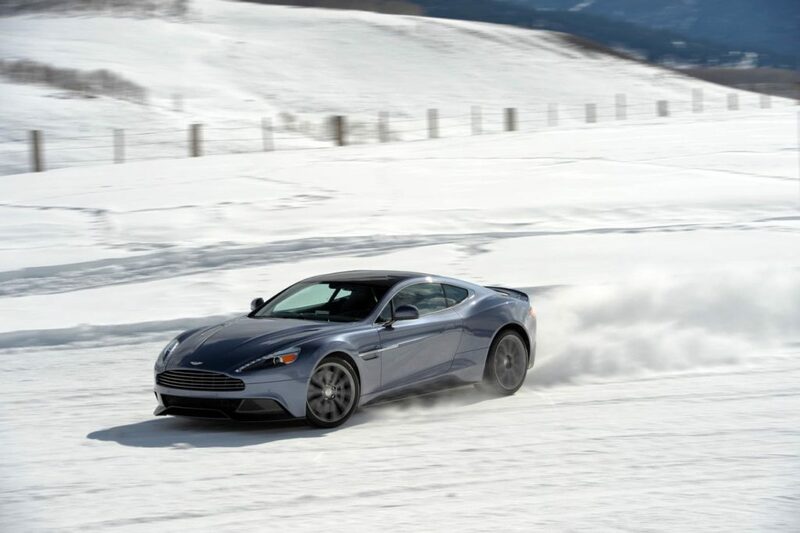 This experiential l marketing campaign allowed a handful of lucky Aston Martin fans with the opportunity to drive different Aston on top slick winter ice, and skidding like a rock star 007 Agent. This test drive experience included a braking loop, a slalom course, and a full race circuit. Of the course safe was were supervised by professional drivers in an enclosed yet amply spacious setting. Although only a handful of Aston Martin owners were able to drive on the ice, the experience was shared across multiple social media channels and lifted Aston Martin’s brand visibility. The campaign proved so successful that they’ve continued to execute this experiential strategy every subsequent year. By creating a highly-targeted experiential marketing experience and following up with a strong social media campaign, the strategy achieved the lift in brand equity and objectives this iconic vehicle was looking for. Not every experiential campaign are meant to merely sell something. Google awarded $5.5 million dollars to 10 nonprofit charities that were dedicated to building better communities. But before awarding these much needed grants, Google gave the citizens a chance to have a say in which companies should be included at the forefront of this generous campaign. They believed, the people who live in the communities should have the loudest voice. 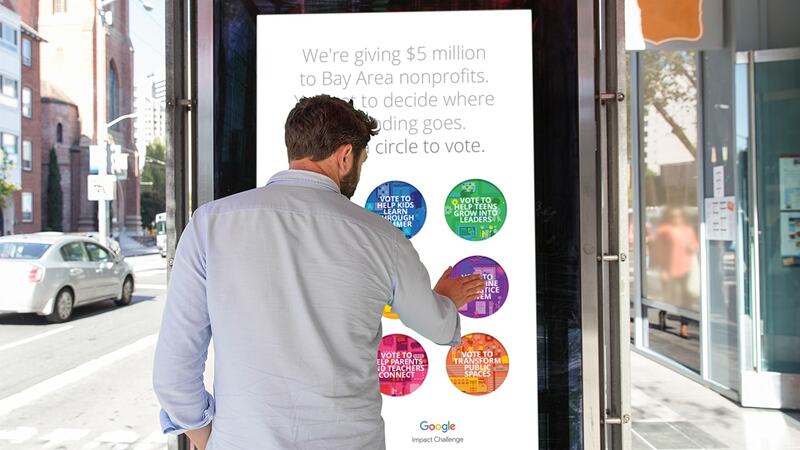 Google set up interactive touchscreen ads all over San Francisco area which served as voting stations. Each poster displayed all 10 nonprofits and the main cause each was trying to address. Citizens just had to press the one they thought was most important and the poster would record their vote live. In the end, six nonprofits each received a $500,000 grant, and the remaining four were awarded $250,000 each. This experiential marketing campaign proved to be widely successful in not only driving financial support but more importantly, driving awareness at the local community level. What is more experiential than a fully immersive entertainment experience. What I mean is an awesome party that will be remembered. 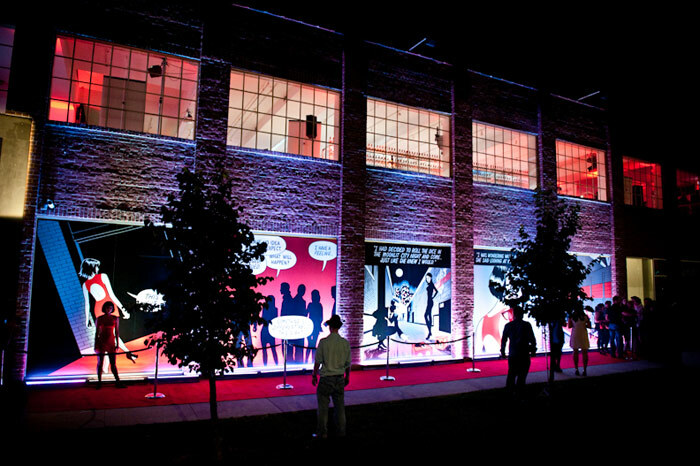 Smirnoff decided to create a comic book-themed industry event, inviting guests to experience a whole different world. The venue was decorated with full-sized graphic comics and illustrations that stayed consistent with the overarching theme. Brand ambassadors were dressed in character from the illustrations, maintaining the fantasy play throughout the night. Attendees were immersed in a comic book universe. By keeping a red color scheme and having bartenders dress like fictional characters, Smirnoff created a rather memorable experience that showed off their creativity as well as their brand.